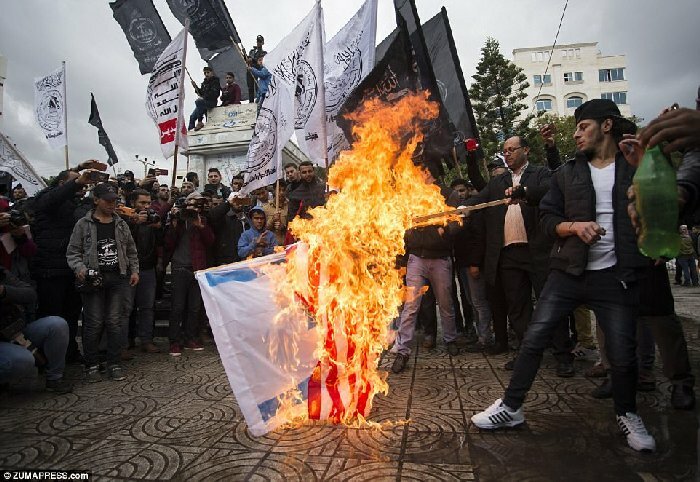 Terrorists were good to their word after President Trump announced yesterday that the US recognizes Jerusalem as the rightful capital of Israel. 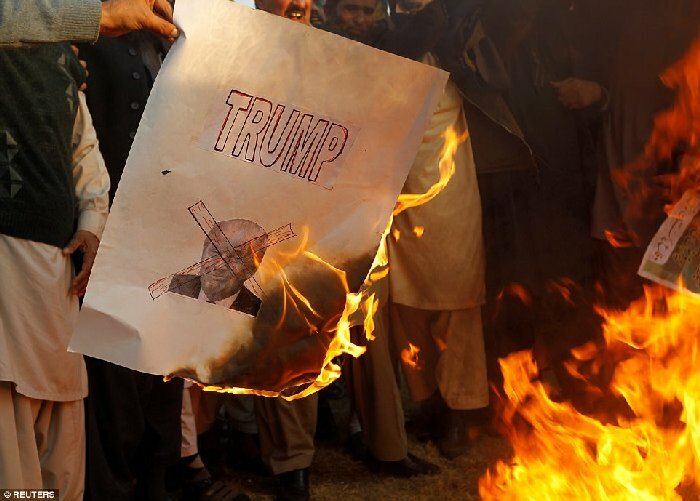 They began rioting and burning effigies of both President Trump and Bibi Netanyahu. 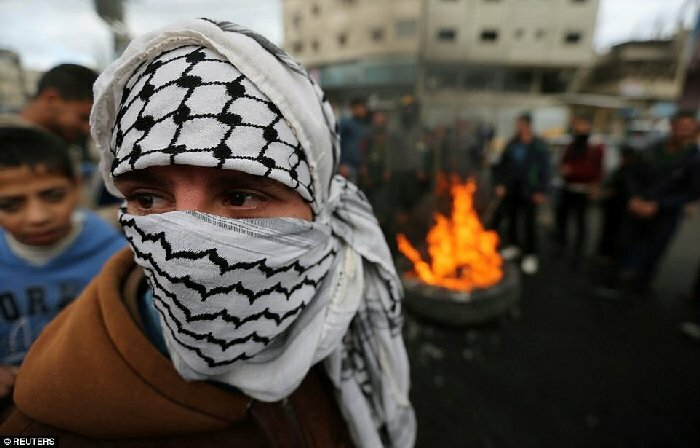 The Palestinians and other outraged Muslims got their violence on good and proper, especially in the West Bank today. 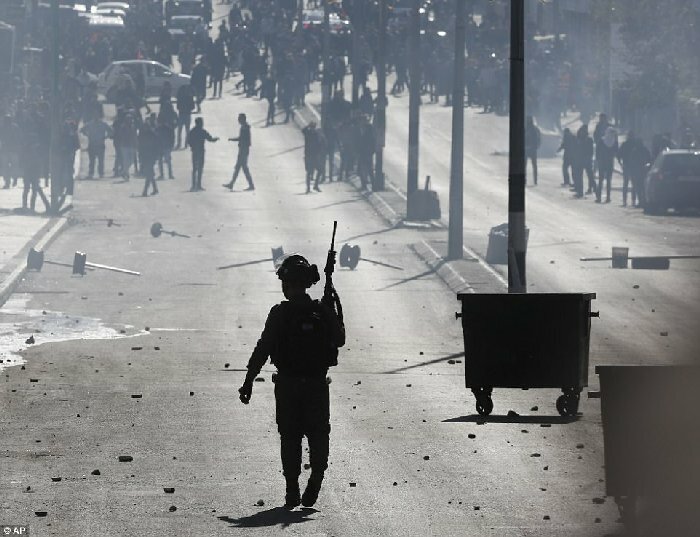 Palestinians set fire to all kinds of stuff and threw rocks at Israeli troops who fired tear gas and water cannons to disperse their demonstrations in Bethlehem. 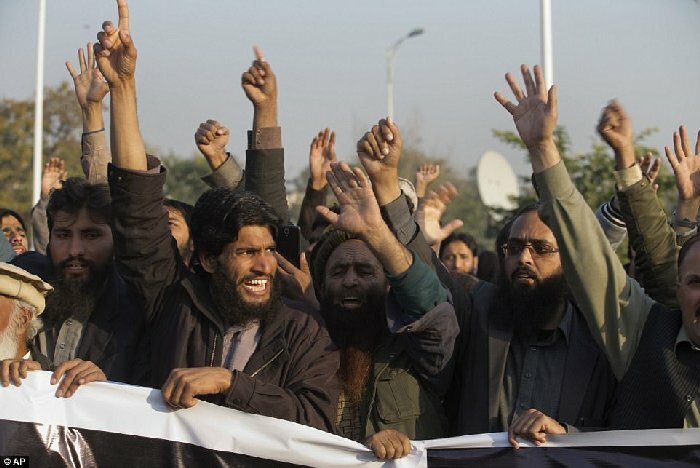 Just another day in the Middle East. 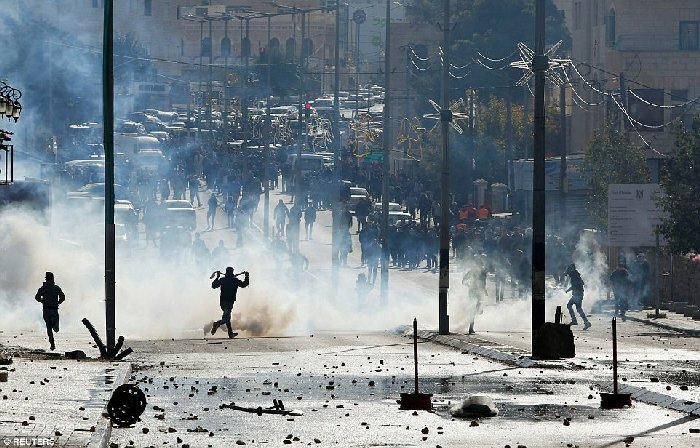 Medics reported that 31 people have been injured by Israeli army gunfire during clashes in the occupied West Bank and the Gaza Strip with rallies underway in the cities of Nablus, Jenin and Ramallah. 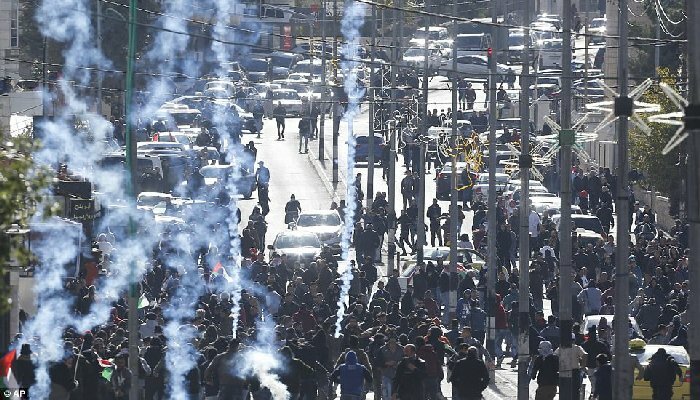 In Hebron and Al-Bireh, thousands of demonstrators marched with chants of ‘Jerusalem is the capital of the State of Palestine’, witnesses said. What the media doesn’t mention is that the Israelis are protecting themselves, not flagrantly attacking the Palestinians. Funny how they never, ever mention that. Hamas is threatening a new Intifada against Israel over all this. Hamas is a proxy for the ayatollahs of Iran. 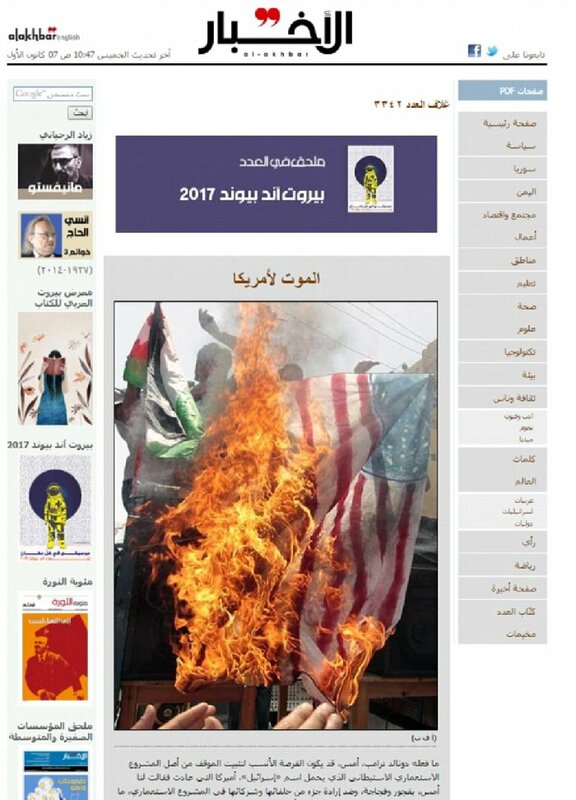 Yesterday, Hamas stated that President Trump had ‘opened the gates of hell’ with his ‘flagrant aggression’, while a pro-Hezbollah newspaper in Lebanon has declared ‘Death to America’ on a front page showing a burning US flag. New day, same crap from radical Islamic terrorists. 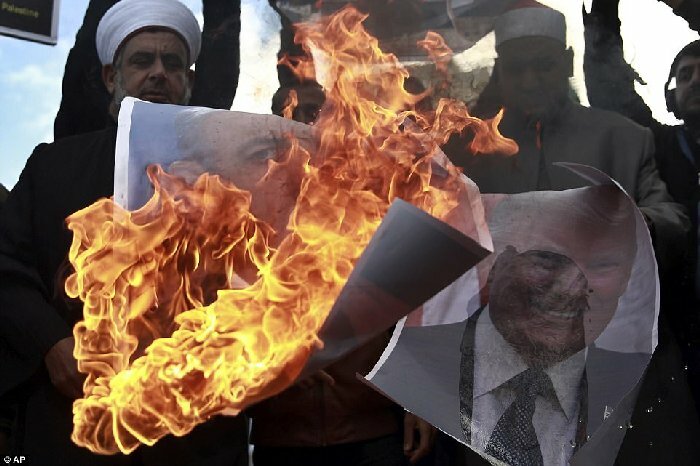 Turkish President Recep Tayyip Erdogan earlier today accused the President of throwing the Middle East into a ‘ring of fire’ and compared him to a ‘blender’ stirring up trouble in the area. Not very imaginative phrasing if you ask me. Russia is vowing to stand against Trump over this at the UN Security Council. Meh. Foreign Secretary Boris Johnson described the new stance as ‘not helpful’, while France rejected the ‘unilateral’ decision and Germany said Jerusalem’s status could only be resolved on the basis of a two-state solution. Considering the Jews were here long before the fabricated state of Palestine, I find that statement ridiculous. 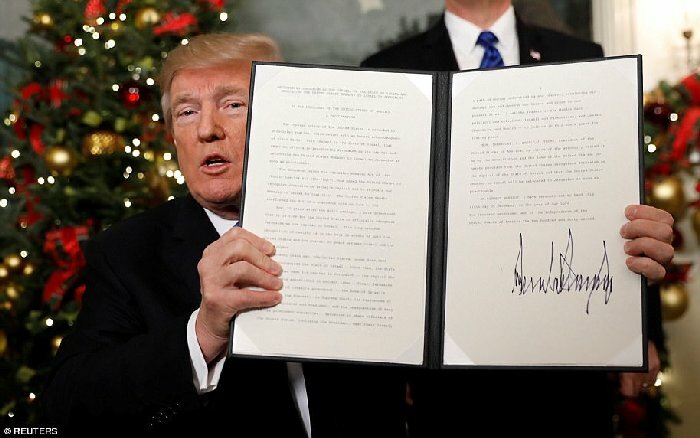 Israeli Prime Minister Benjamin Netanyahu said Trump had ‘bound himself forever’ to the history of Jerusalem with his announcement and claimed other states are now considering following the US lead. I hope that is true. It would be very good news. 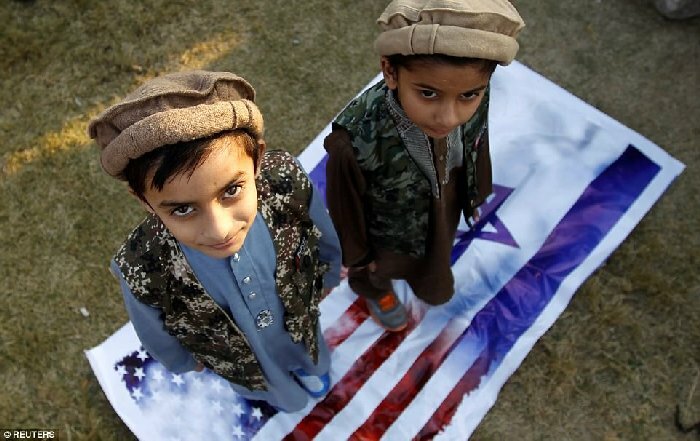 Ironically, this may lead to a sort of peace in the Middle East eventually. In the short term, it will probably lead to war. 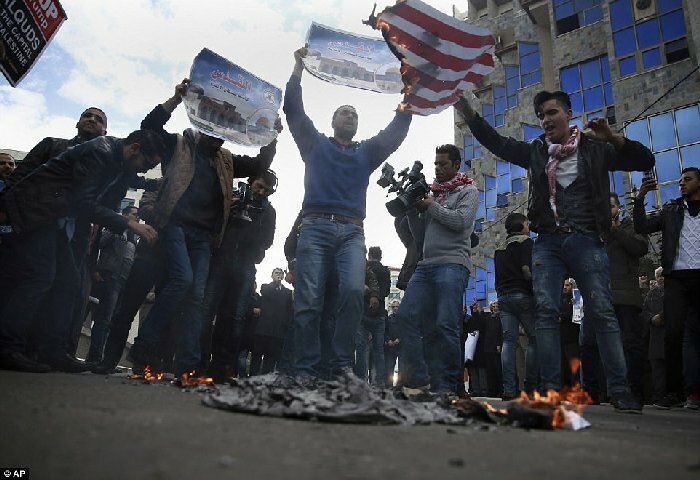 Iran is just itching to fight Israel. 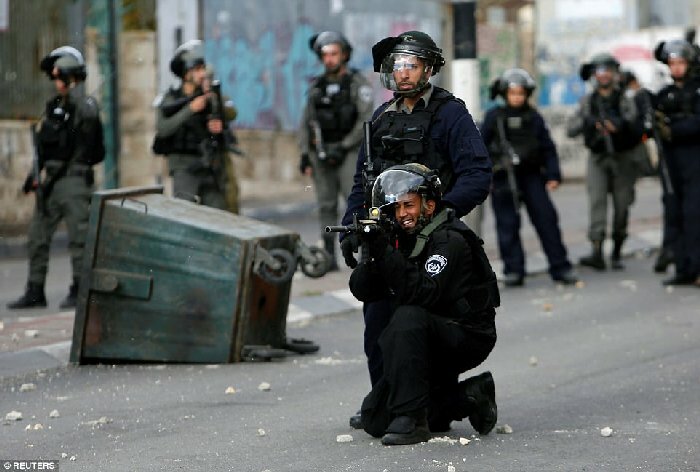 The Israeli military has deployed several battalions to the West Bank to quell the violent protests. You can expect more upheaval as the US prepares to move our embassy to Jerusalem from Tel Aviv. As for this week, look for violence after midday prayers on Friday. 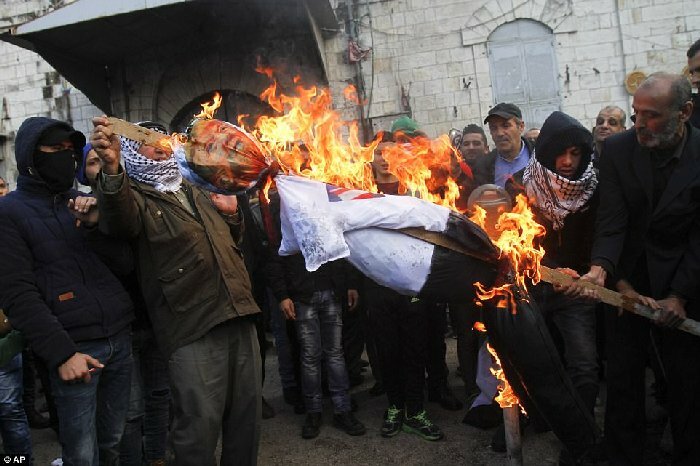 The Palestinians called for three days of rage starting yesterday and culminating right after Friday prayers. The US is beefing up security at our embassies and we are fully cognizant that this could derail the Israeli-Palestinian peace process at least for a time. It was the right thing to do and long, long over due. The move by President Trump is historic and it begins a new chapter in our bond with Israel. 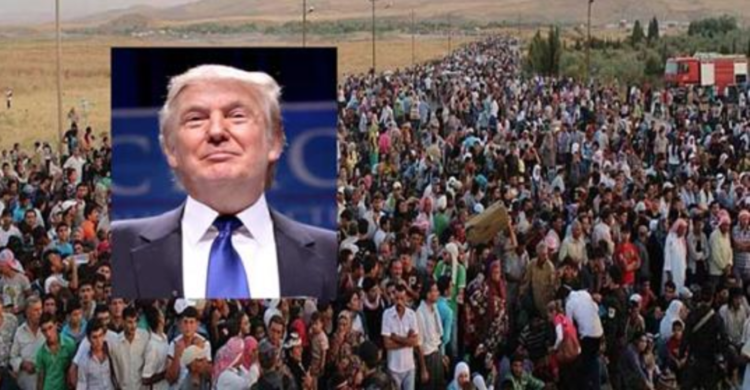 If violence spreads and bloodshed comes, it will not be because of President Trump. It will be because bloodthirsty terrorists want an excuse to air bigotry, hatred and anti-Semitism. Trump has done what other presidents promised to do and many wept with joy over it yesterday.